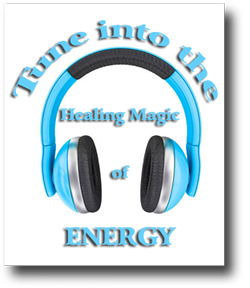 Healing Energy - Tune into the Healing Magic of Energy. Healing Energy... the magic . . .
Our thoughts are energy and they create our reality! Even though I've heard this many times it remained a mystery to me for a long time - I just could not wrap my head around it so to speak. Before you dismiss this idea as mumbo jumbo and click the back button on your internet browser, just bare with me for a bit. I know that any person with any amount of common sense would dismiss the idea of thoughts creating your reality as nonsense. I mean thinking about winning the lottery does not make it happen, does it? I was skeptical and I bet you are too because thinking of something does not necessarily make it happen. But hang on a second here... when you switch on your television set you see pictures and hear sound... it appears to come out of nowhere... pretty unrealistic won't you say? Not so... you can look at it like this... some energy goes in, some waves happen and viola out comes some matter really far away! So what does that have to do with thought being energy and creating your reality? It' quite funny how we sometimes know things but somehow we just do not connect the dots. Bet you have heard of an EEG (Electroencephalography) well that's wher the answer lies. EEG refers to the recording of the brain's spontaneous electrical activity over a short period of time, usually 20 - 40 minutes, as recorded from multiple electrodes placed on the scalp. The brain fires impulses of electricity that can and have been measured (by for instance EEG) and therefore, by simple extrapolation our very thoughts are energy. Now just imagine that then some waves happen and some matter can come out really far away or even in the future just like when you switch on your TV! "I believe that the mind has the power to affect groups of atoms and even tamper with the odds of atomic behavior, and that even the course of the world is not predetermined by physical law, but may be altered by the uncaused volition of human beings." Now just imagine your own body as a collection of wavelengths each performing to an exact blueprint, along comes an event which disturbs these precise wavelengths? Chaos! Your whole being would go out of whack, you will feel out of ease, shall we for convenience say that you will be dis-eased. A perfect opportunity for Healing Energy! Modern science tells us that the human organism is not just a physical structure made of molecules; but like everything else, is composed of energy fields. We are constantly changing, ebbing and flowing, just like the sea and constantly swimming in these vast energy fields, thought fields and bio-plasmic forms, moving about and streaming off the body. Everything is energy, rushing, vibrating and moving in a very specific pattern, it occurs everywhere, and can't be avoided. Unless energy is disturbed, including being disturbed by a thought, it will remain in a state of perfect harmony and balance. Because our energy fields are part of the interconnected whole, the use of focused intention by one individual can aid in the well being of another - healing energy! I can hear you asking: "Are you saying my energy field is not an island? Are you saying my energy field is an absolute part of the whole and that whole includes everything?" Many studies have already proven that your well being is based on the belief that the universal "life force" energy fields can be tapped into. These forces - healing energy - can then be directed and effectively used to negate the affects of either physical or emotional dis-ease, re-aligning that imbalance and bringing about healing. Your body - physical and otherwise - has an incredible, innate given ability to mend itself. With a little conscious help and focused intention you can tune into and direct the "life force" restoring perfect well-being - healing with energy! People have recognized this phenomenon in the past; it is therefore not a new phenomenon. We are re-discovering healing energy through renewed observation, growing awareness, a new perspective, and a renewed interest in studying the intricacies of the unknown.